Key Difference: A Kindle is an e-book reader. It is a device which allows one to download books, newspapers, magazines, blogs and read them. On the other hand, iPad Mini is a mini (small) tablet, which has maximum features of a PC. It allows one to read a book, and other than this one can watch movies, listen to music, play games, browse the Internet, or retrieve e-mail. Kindle is an e-book reader. It is a shortened term for electronic book reader. Kindle has a huge benefit for everyone who loves reading books. It is the most flexible device for those who do not want to carry loads of books with them while traveling or any other place. In simple terms, e-book devices are an exciting and growing technology contributing access to many books through one electronic reader. 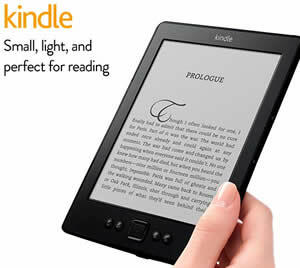 Kindle, an e-book reader, is developed and marketed by Amazon.com. The release date of the Amazon e-book reader device was November 19, 2007. An e-book reader is essentially a mobile electronic device whose main use is for reading digital e-books and periodicals. The word Kindle was taken from the context of ‘kindling a fire’. iPad mini is a mini (small) tablet. 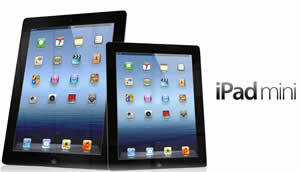 iPad mini is marketed, designed and developed by Apple Inc. The release date of iPad mini was November 2, 2012. It has borrowed a lot of features from its big brother, but it just has a smaller packaging. The iPad Mini is a sleeker, thinner iPad 2, note currently the company is on its 4th generation iPad. Several competitors have tried to beat it and compete with the mighty iPad but nobody can touch it in many ways. The iPad Mini is available with 16/32/64 GB of internal storage, which is not expandable. The device only offers 512 MB RAM. The iPad Mini comes with a 5MP rear camera for taking photos and also has HD video taking capability. The reader can also easily read books in almost all formats. Depending on the model, Kindle can have only black and white screen to give the actual touch of newspaper or books, or a color screen similar to a tablet. iPad Mini has a color screen. Kindle can be only used for reading books, or any other articles, newspapers, etc. Recently, the Kindle Fire allows one to download movies, shows, songs, games, and apps. iPad mini is small computer. One can use it for various purposes, such as reading e-books, watching movies, listening to music, playing games, browsing the Internet, or retrieving e-mail. The Kindle Paperwhite series do not feature a camera, whereas the Kindle Fire series do have a front facing HD camera. The Kindle requires no additional service charges. The only additional fees are for downloads. The iPad mini can work in most locations if one upgrade to a data service plan with AT&T.